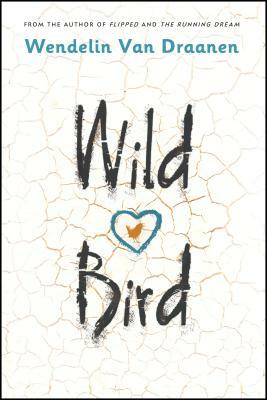 From the award-winning author of The Running Dream and Flipped comes a remarkable portrait of a girl who has hit rock bottom but begins a climb back to herself at a wilderness survival camp. 3:47 a.m. That’s when they come for Wren Clemmens. She’s hustled out of her house and into a waiting car, then a plane, and then taken on a forced march into the desert. This is what happens to kids who’ve gone so far off the rails, their parents don’t know what to do with them anymore. This is wilderness therapy camp. Eight weeks of survivalist camping in the desert. Eight weeks to turn your life around. Yeah, right. Wendelin Van Draanen is the author of many beloved and award-winning books. For middle graders, she’s written The Secret Life of Lincoln Jones, Swear to Howdy, and the Sammy Keyes mystery series. For teens and tweens, there’s Flipped, The Running Dream, Confessions of a Serial Kisser, and Runaway. And for younger readers, check out the Shredderman quartet and the Gecko and Sticky series. Wendelin Van Draanen lives in central California with her husband and two sons. Find her on the web at WendelinVanDraanen.com or on Twitter at @WendelinVanD.